A new study has found salt in moderation is good for you. A WORLDWIDE STUDY has found that a diet low in salt may increase the risk of heart attacks and stroke. And in fact – contrary to popular belief – salt in moderation is good for you. In the same week a new report found common advice on low-fat diets and cholesterol is wrong, the study of 130,000 people in 49 countries has found current advice on how much salt we should be consuming is too low. The study, co-authored by NUI Galway academic Professor Martin O’Donnell and published in The Lancet, found that low-salt diets (less than three grams a day) are related to more heart attacks, strokes and deaths than diets with an average intake. It also found that people with high blood pressure should reduce their salt intake to moderate rather than low levels. O’Donnell said the study shows a need for a clinical trial to determine the safety of a sustained low-salt diet in relation to heart attacks and strokes. “(The study) questions the appropriateness of current guidelines that recommend low sodium intake in the entire population,” he said. The study looked at Canada where it concluded most people there are consuming the right amount of salt a day (between 3.5 and four grams). “Low sodium intake does reduce blood pressure modestly, compared to moderate (or average) intake,” said the study’s lead author, Dr Andrew Mente. 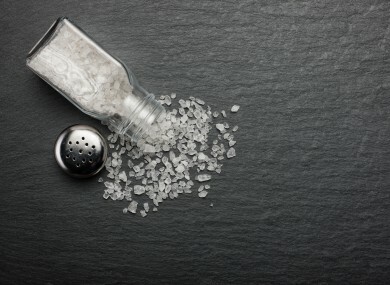 Email “Hold up - low-salt diet could actually increase the risk of heart attacks”. Feedback on “Hold up - low-salt diet could actually increase the risk of heart attacks”.